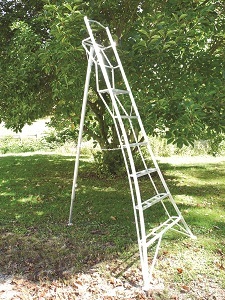 "The Hasegawa Tripod Ladder is incredibly sturdy. 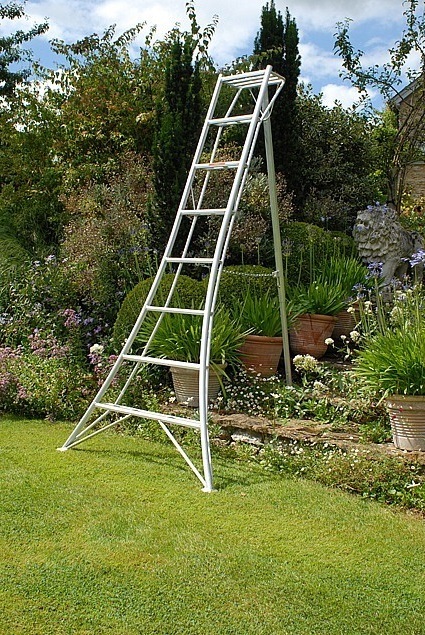 You'll feel safe and secure harvesting fruit, pruning, painting, cleaning gutters or tackling any other heavy-duty homestead chore"
Hasegawa Tripod Ladders are used all over Japan and Europe and now in the U.S. by gardeners and nurserymen. Our customers include tree surgeons, topiary specialists, institutional and estate gardeners, orchard owners, hedging contractors, permaculturists and landscapers. Countless gardening enthusiasts appreciate the stability and practicality of the tripod design. 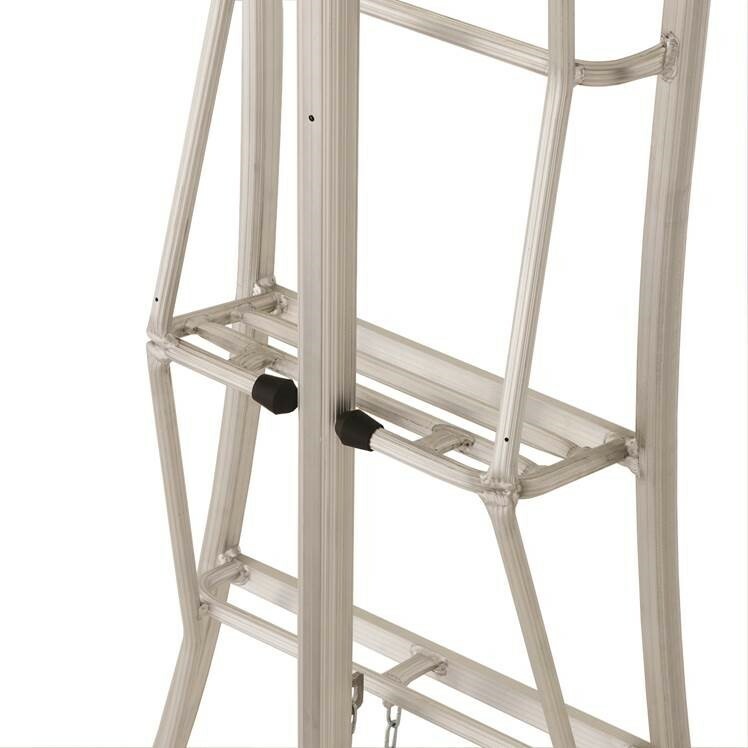 The wide base, deep steps, telescopic back leg, as well as broad clawed feet and flat top make the Hasegawa Tripod Ladder incredibly safe and easy to use. Similar to the design of the Eiffel Tower, your weight is directed downwards and outwards, pinning the ladder to the ground. 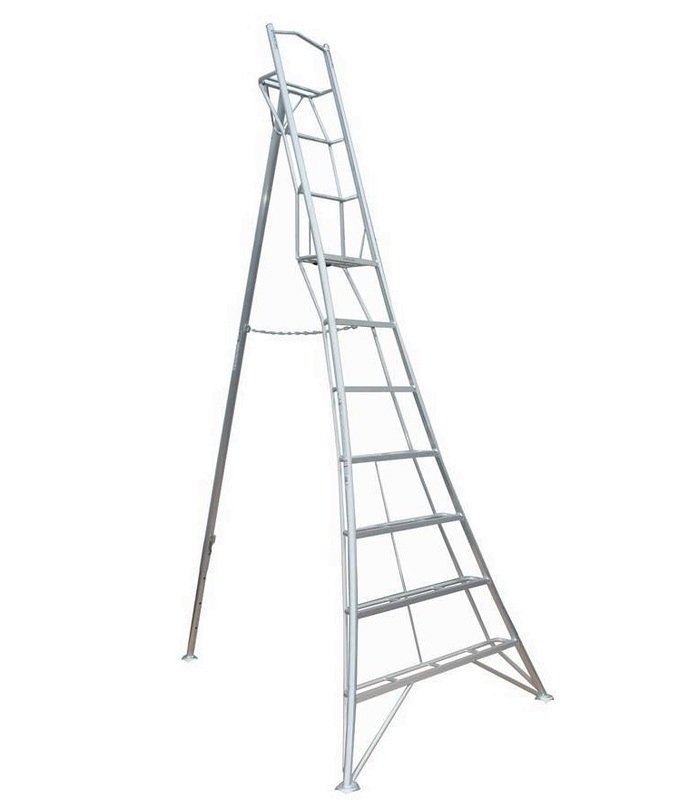 The ladders are welded, extruded aluminum construction, weatherproof, and very strong. Double rungs are easy on the feet, and resist getting muddy or slippery. 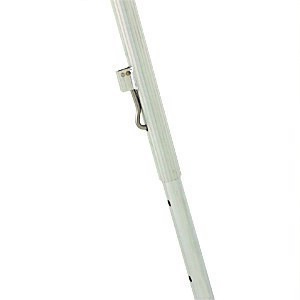 Use of ladders on hard surfaces such as concrete requires purchase and installation of GSC-G hard surface accessory. The GSU Model benefits from a deeper platform step, making it safer and more user-friendly than the GSC model. 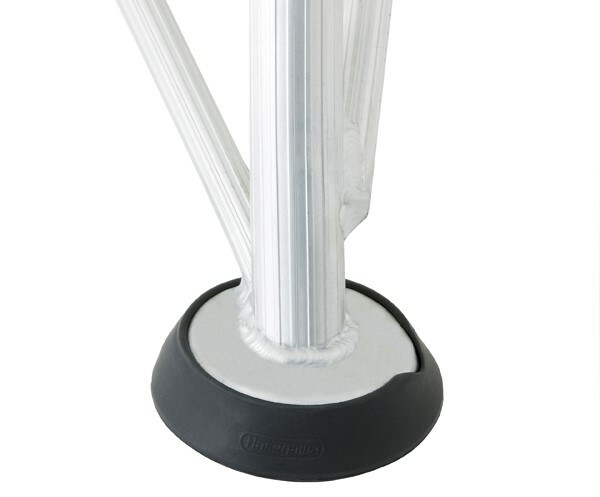 The spring-loaded pin on the tripod leg makes adjusting leg lengths easy! CAUTION! 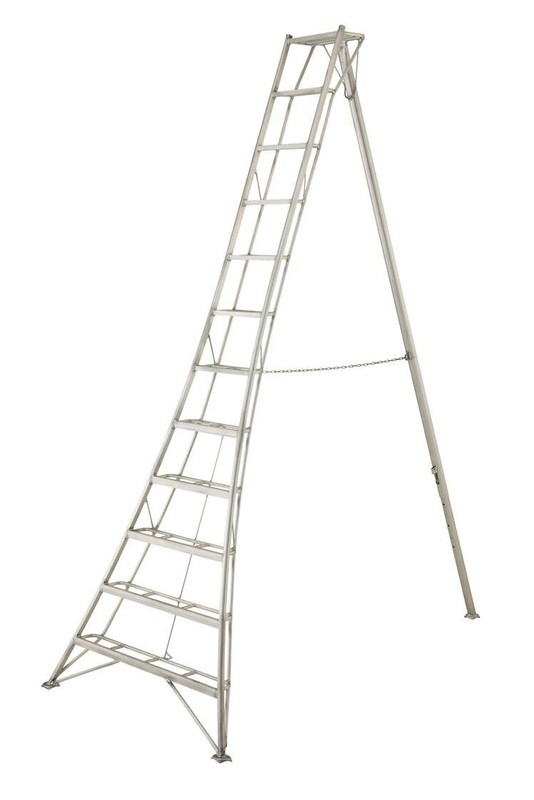 Ladders can conduct electricity and be dangerous to your health and safety. 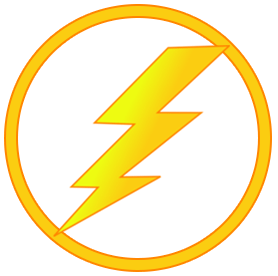 Do not use ladders near energized electrical lines or equipment. delivery or pickup within the New England/Hudson Valley area. Delivery fees apply.